The link above discusses an event early in the last century at which the shock of the new was virtually unbearable for guardians of taste. The reaction, apparently archetypal, can be seen repeatedly over ensuing decades to the present day in subsequent incidents encompassing diverse disciplines (architecture, art, fashion, literature, music) as the new (with increasing velocity facilitated by communication advances) surprises, permeates, and redefines culture. In our own "discipline" -- fine quality handmade oriental rugs -- Brandon Oriental Rugs has witnessed many changes over the last quarter century. Many of the style shifts involved color rather than design changes: so pure color replaced earth tones, which supplanted jewel tones, which had earlier succeeded pastels, which appeared in reaction to pure tones (remember orange shag in the late 70's?). 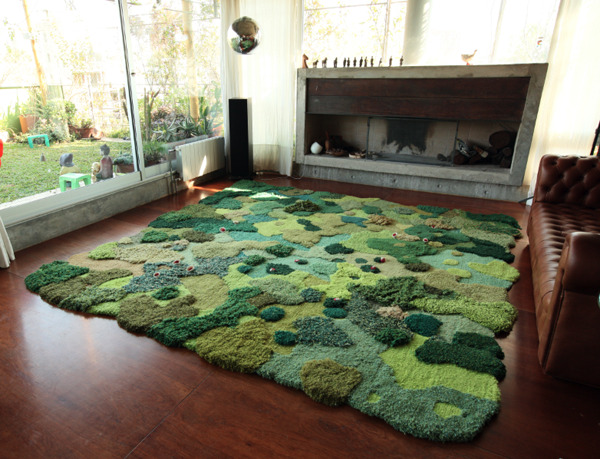 More recently, forays into modern styling in handmade rug design have expanded with almost iconoclastic fervor that seems bent upon overthrowing traditional ideas of what rugs should look like and be. Market forces in part affect these changes; but an underlying existential restlessness associated with the New Millennium and consumers to whom the millennial label is attached seems to be what is energizing change. One lesson to be garnered from consideration of the history of the "New Art" of the early 1900's is the fact that the objects which spawned an initially unfavorable reaction were well crafted; built with quality choices; designed to endure. When the blasts of unfavorable opinion had been vented, they still stood; no worse for the wear. Guardians of taste, and taste-makers of the present day can take note. While a lot of what is new is not necessarily good; there is much of the new that is very good. 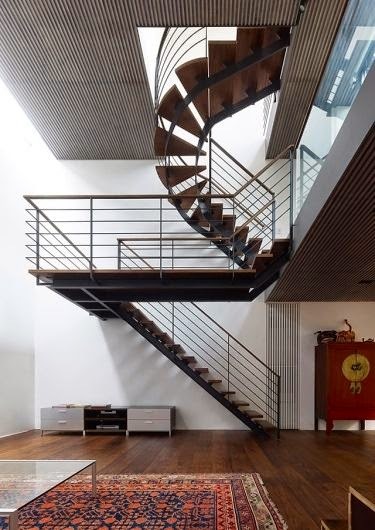 Traditionalists have reason to be heartened by quality materials, construction AND design in much of the new that has been and is being introduced. By the same token, the iconoclasts can appreciate that no amount of bluster will wear down some rocks. 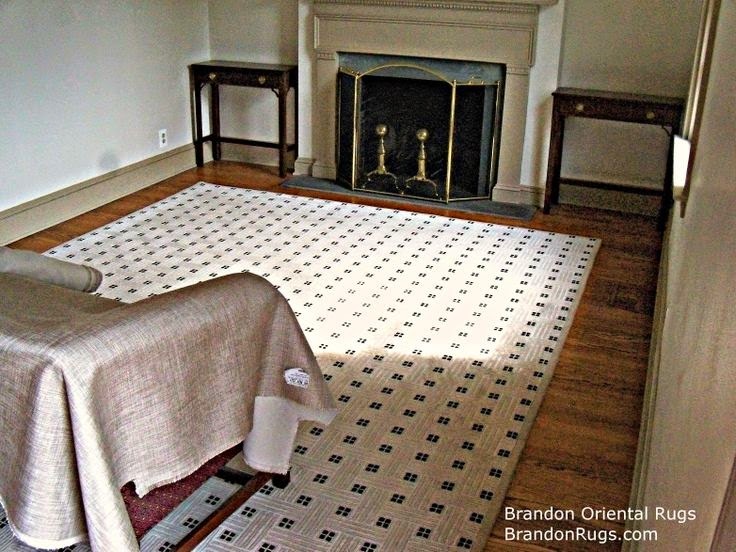 Brandon Oriental Rugs can attest to ongoing, wide-spread interest and use of well-made traditional rugs in all styles of decor including eclectic, modern, Bohemian, and minimalist interiors. By the same token the fresh simplicity of many of the new rug designs is working very well in rooms with the very best furnishings of the past. It is good to remember too, whether consideration of value is being given to an innovation or ongoing reproduction of the "tried and true": "If something is exceptionally well done it has embedded in its very existence the aim of lifting the common denominator rather than catering to it." Embedded below is a three part Iranian video production discussing the history, art and marketing of hand-knotted Iranian (Persian) rugs. Coming from the mouths of the present day caretakers of this wonderful art form, it is worth attention for rug buyers, rug sellers, and rug owners around the world. Though an embargo on importation of Iranian goods to the United States of America has made it impossible to access new production since early 2011, Brandon Oriental Rugs in Bucks County Pennsylvania has many resources with still sizable inventories of quality Persian rugs. Many types are still available at attractive prices virtually unchanged since the embargo was imposed. 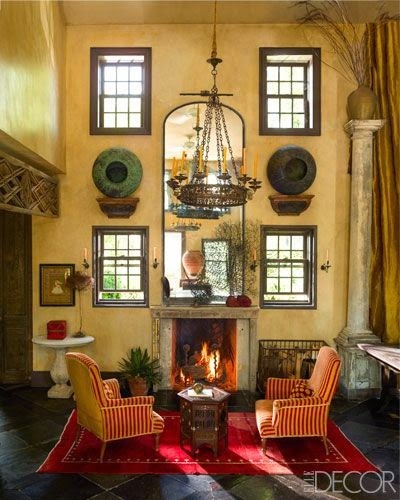 This continues to make Persian rugs (along with real estate, art, heirloom quality furnishing and other rare collectibles) attractive to investors seeking stores of value against the possibility of inflation. 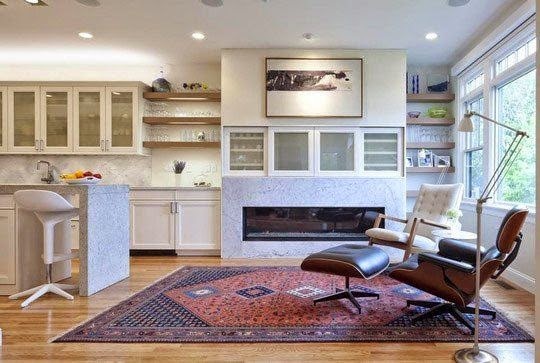 As the following videos demonstrate, regardless of the sure promise of rising future values in international markets, there is a lot to love about Persian rugs today arising from their esthetic qualities beginning with their undeniable beauty. 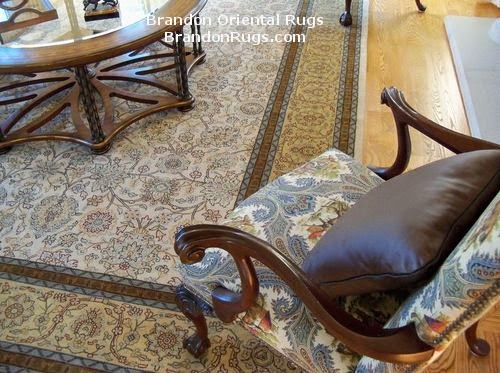 Brandon Oriental Rugs, a Bucks County oriental rug store serving the Greater Philadelphia, Lehigh Valley and Central and South Jersey areas --www.brandonrugs.com -- has been witness to the truth of the above statement over and over again over the course of over a quarter century in the oriental rug trade. 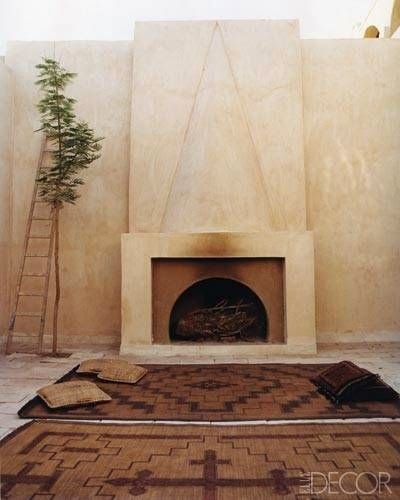 Once our customers experience the comfort, elegance, luxury, AND practicality that REAL handmade rugs provide in one area of their homes, they soon decide to repeat the experiment in other areas. 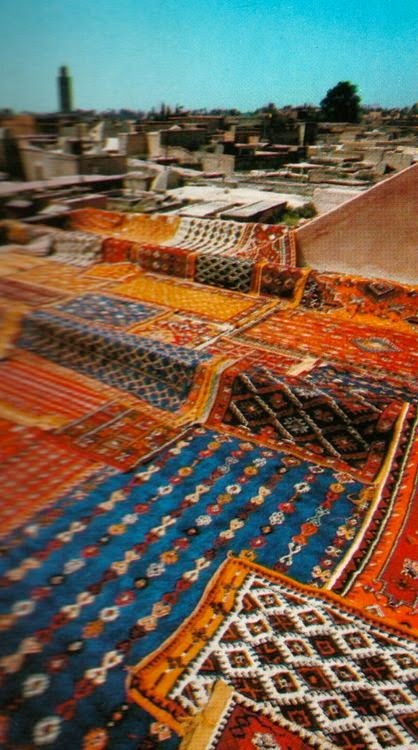 The picture above is of an extreme -- but not uncommon --case of rug addiction. 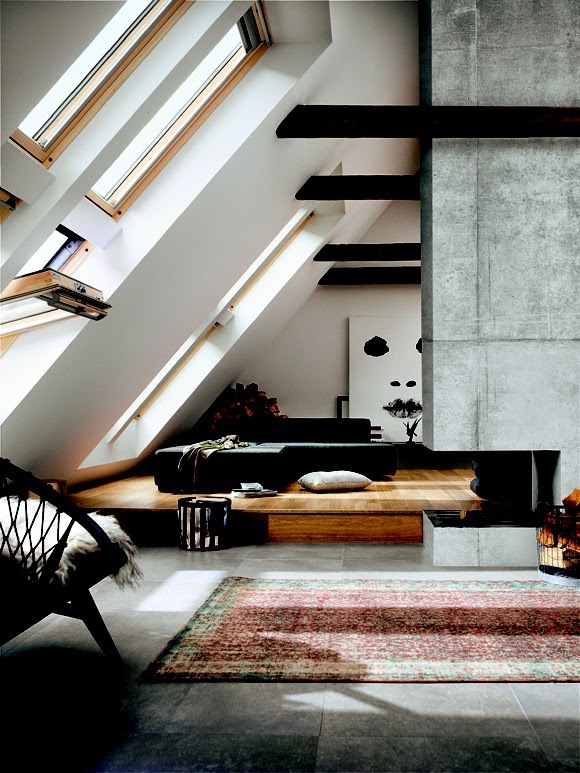 Though we have yet to see our customers use rugs as roofing material, we have seen rugs installed in garages, mudrooms, sunrooms, porches, patios, and for use as pet beds. Our advice for those who have caught the "rug bug", and are passionate about adding continually to their rug collections, is to go at it one rug at a time. Consider how well a new selection works with your decor today, and how versatile it will be for use in other rooms in the future. 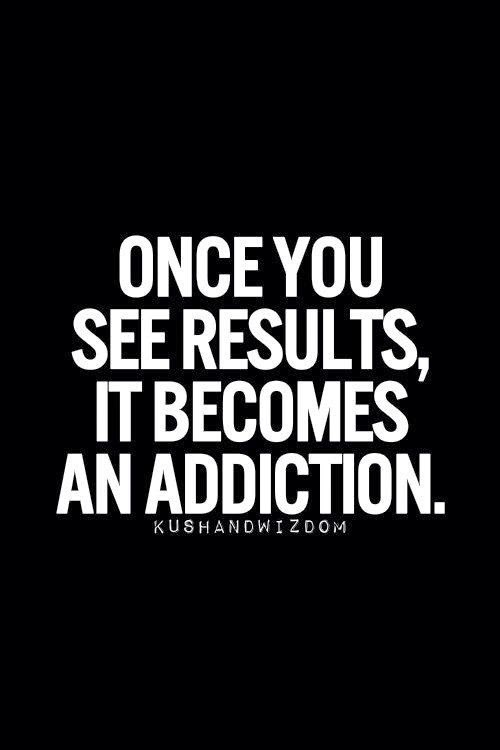 The "success gurus" all tell us that the fastest, easiest, surest way to success is to "model" what successful people have done. If we want what they have, we just have to do what they do; and we can have it too. It looks as if George knows rugs. And your choice of hand-knotted oriental rugs is one of the easiest ways to emulate the lifestyles of the rich and famous. There is NO disputing "good taste". So, for your future well-being and enjoyment, take note of what good taste in floor coverings looks like. Sometimes the number of ingredients makes the mix so complex that you think you can't pick out the individual contributions. 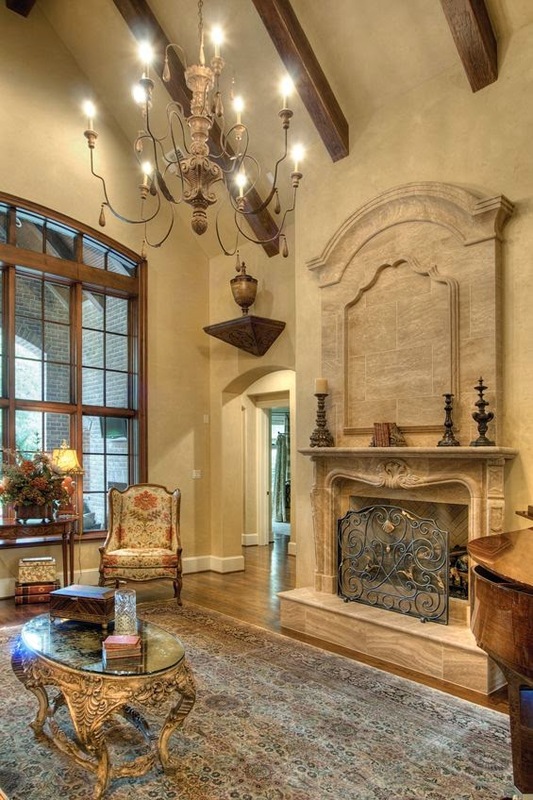 But, forget the hand-knotted oriental rug and you'll instantly sense that something essential has been left out.